The last fiscal quarter of the year is upon us, and there is no better time to start planning for the year ahead. Marketo’s massive online marketing conference aims to equip professionals in the field with all the tools they need to create the perfect marketing plan. Involved in tech marketing through the dot-com boom and the dark days that followed, Jeanette brings over 15 years of experience to the VP Community and Customer Experience role with Hootsuite. 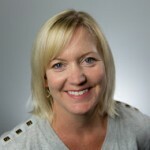 Having previously led the Digital and Social Marketing team for Cisco Systems, Jeanette contributes her innate understanding of building respected, loved brands to the Hootsuite team. Plan out the conversation with your leadership around this year’s marketing objectives. Register Today!